Looking for some family fun and entertainment this weekend. Join a New Hampshire Tradition of visiting Maple Sugar Houses. Join our customers The Grant Family in Weare, NH for their 10th annual open house this Sat. See link for details. While there check out their new sugar house gear proudly printed and embroidered by Time 4 Change. 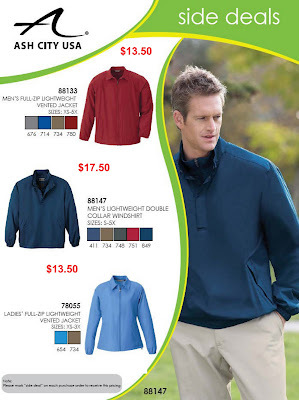 Last call for the Ash City Windshirt and Lightweight Jacket Sale. Sale ends at 5:00 PM tomorrow. Take advantage of high end products at great low prices. For more detailed description of these items and colors go to http://www.stylesac.com. Questions? Call or e-mail. Remember there are no order minimums!